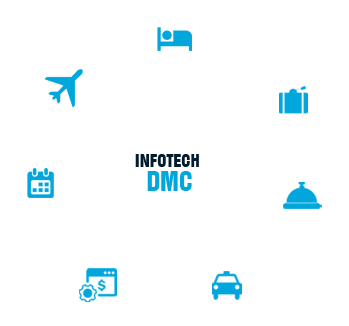 INFOTECH DMC is a web-based solution that has been designed for Travel Agents, Tour Operators and Destination Management companies. It covers all different aspects of the ever-growing travel industry: Production, Reservations, Operations and Accounts. This modernly designed software serves as a back office providing a full range of functions and profitable operations that will enable your staff to get maximum efficiency and enable you to have a quick return on your investment.